It’s a tricky thing transferring a high-quality fantasy novel to the big screen, even given all the advances in computer technology – and sometimes because of those advances. When we've used our imaginations to give shape to unfamiliar vistas and characters (or even, if we choose, to keep them nebulous, as I do with Tolkien’s The Silmarillion) and they are then given a definite form on screen, the results can be problematic. I know this can be said of any book-to-film adaptation, but personally it affects me most when it’s done in fantasy. Much as I admired the grand vision of Peter Jackson’s 10-hour filmisation of The Lord of the Rings, there were times when the images in my head simply refused to make peace with what was on the screen. When the Dark Lord Sauron (bereft of corporeal form in the books and all the more menacing for it) was turned into a giant roving flashlight – wistfully scanning Mordor for stray hobbits – in Jackson’s The Return of the King, the Tolkien nerd in me wept. 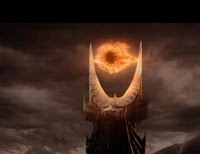 It wasn’t really the filmmakers’ fault – it’s hard to see what else they could have done to visually convey the Eye of Sauron looking out for his (its?) 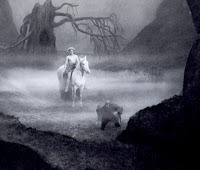 enemies, especially given that the film was reaching out to a mass audience, including people who hadn’t read Tolkien – but that points to the difficulties of bringing a richly imaginative book to the screen. When Christopher Tolkien said his father’s works were "peculiarly resistant to filming", he wasn’t necessarily being over-conservative. In the film, the anti-religion themes have been softened into a more general anti-authority tone. The story is set in a parallel world not too unlike ours and the central character is Lyra (Dakota Blue Richards), a headstrong young girl who has, in the tradition of Frodo Baggins and other "little people" of the genre, been saddled with momentous responsibilities. She must rescue a friend who has been kidnapped by a vicious group known as the Gobblers, take custody of a truth-telling device called an alethiometer, help an armoured polar bear regain his self-respect and his kingdom, and foil the plans of a powerful, oppressive organisation called the Magisterium. Perhaps most importantly, she must decide whether or not to trust the inscrutable Mrs Coulter (Nicole Kidman), who has taken a special interest in her. The Golden Compass is a brisk film – perhaps too brisk for its own good, given how much it tries to pack into a running time of under two hours. This ensures that there’s nearly always something intriguing going on, but it can also make the sequence of events confusing and the characters emotionally uninvolving, especially for someone who hasn’t read the book. This is a problem when you consider that audiences will have to wait a year for the next instalment in the trilogy. Characters come and go in the blink of an eye, relationships are formed and explanations given too rapidly, no scene is milked for its full dramatic potential (I was especially disappointed by the throwaway handling of one of the darkest, most chilling passages in the book, where Lyra encounters a boy whose daemon has been torn from him) and even the big action setpiece, a bear-fight, is slightly anti-climactic. Perhaps this would have been better as a three-hour movie. To an extent the film does work as spectacle, consistently providing beautiful scenic visuals, even if you’re never sure where the breathtaking real-world Norwegian landscapes end and computer effects begin. It also shows some imagination in the scenes where Lyra reads the alethiometer and in its depiction of the way different people’s daemons interact with each other depending on the prevalent mood. 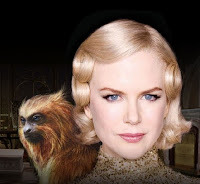 Richards and Kidman are both good too, though the latter doesn’t really have a sustained role, and there are a few genuinely creepy moments involving Mrs Coulter’s monkey-daemon. Ultimately a movie must be judged on its own terms, not those of its source book, but I’m not sure how well this film will work for a viewer who isn’t familiar with Pullman. Seen in isolation, it’s just another good-looking but average entry in the Hollywood fantasy canon, a poor cousin to Jackson’s Lord of the Rings, which is now the standard against which all such films will be judged. Too many scenes in The Golden Compass are reminders of better movies of the past. The prologue, with its solemn voiceover, is very similar to the expository opening of The Fellowship of the Ring; a late scene plays almost like a parody of the famous climax ("I am your father") of The Empire Strikes Back. Also, what’s with the tiny appearance by Christopher Lee? The next time he plays a dark wizard/threatening authority figure in this sort of movie, his character should be named Dejaa Voo. P.S. In full disclosure, I read His Dark Materials several years ago and enjoyed the books, especially the first one, but I’m not a fevered fan. Also, I liked the trilogy principally as a very skilful, richly imaginative fantasy/adventure – I wasn’t too interested in the deeper, more philosophical subtexts, which may be why I was slightly underwhelmed by the final book, The Amber Spyglass, which deals with nothing less than the death of God as we know Him and the creation of a new republic of heaven. P.P.S. Discover your own daemon at the film’s official website. Mine is sleek, black, solitary and - surprisingly - "a leader". 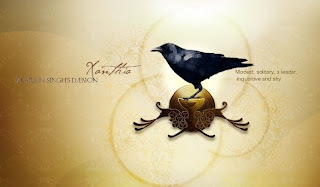 Meet Xanthia. You haven't written about "Taare Zameen par" yet. Not that you should write about every movie - though I'd love to -, but was that a conscious decision to not write about this one particularly? Needless to mention, that i've been waiting to see your thoughts on that. Oh no! That's Republic of Heaven, not Kingdom of Heaven. "Lyra who has been straddled with momentous responsibilities"--actually not. Pullman's masterstroke was that Lyra never knows anything about the importance of her actions. She acts on her instinct, what she feels is right. Her distrust of Mrs. Coutler stemmed from the monkey's treatment of Pan. She decides to save Roger because he is her best friend, and that's the thing to do. This goes on right till the end when she sets God free from his crystal box, thus killing him in the process. I haven't watched the movie yet, but if Lyra's innocence and sense of right and wrong in black and white is replaced by acting-on-grand-scheme-of-things, boy have they got the whole thing upside down! Puneet: I forgot to mention that this is an extended version of a Golden Compass review I've done for Tehelka. When it comes to films that I'm not officially reviewing, writing a post depends on a few factors. Haven't written about TZP partly because I've been pressed for time and partly because I didn't really have many points to make that I haven't seen made elsewhere (in Baradwaj's review, for instance). Another reason was that I had a few problems with the film, but at the same time I wasn't comfortable writing a review that would perhaps over-stress its weaknesses - because it's well-intentioned, mostly made with honesty, and one understands that "message cinema" in India has to err on the side of preachiness if it wants to make a mass impact. The caricaturing of Ishaan's father was problematic and I felt uncomfortable about the grand crescendo at the end, where Ishaan emerges the winner (in a competition, ironically) and achieves validation by being roundly applauded by everyone else. I thought this could have been traded in for a slightly more restrained (but still upbeat) ending. Also, the fact that the dyslexia talk didn't emerge until late in the film made the first half too generalised - Ishaan's experiences could be the experiences of just about anyone who ever felt isolated as a child, or had problems with the staidness of formal education. There were many of the "Ishaan's perspective" scenes that I could relate to, there were others that my wife and friends could relate to, and none of us was dyslexic. (Note: is there any child who would rather read a Math textbook than look out of the classroom window and watch a mother bird feeding her babies?) So there's a possibility there of giving false hope to parents whose children are reticent/distanced for reasons other than a tangible medical problem. I'm going to read the books again - it's been a very long time. And heh, the second para of your comment should have come with a Spoiler Alert! Compass was much better than Lord of the Snooze and their ponderous, humorless Nordic-centricity. Can't say for the books-- the LotR texts are, of course, grand classics. 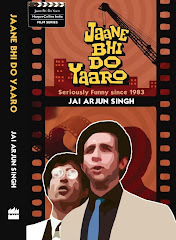 Jai, your movie and book reviews are always worth reading. I haven't seen Golden Compass but liked the way you reviewed it. Also, the fact that the dyslexia talk didn't emerge until late in the film made the first half too generalised - Ishaan's experiences could be the experiences of just about anyone who ever felt isolated as a child, or had problems with the staidness of formal education. I too felt it was quite long, but liked the way it was handled and the message was conveyed. It is a welcome movie in these competitive times when every kid is expected to be an engineer/doctor/MBA. Thanks a ton for that. This comments section is turning into a TZP discussion, so maybe I'll take some of these points and make a separate post out of them. Reg the film adapation of fantasy stories, a lot of fantasy stories are written in a "realistic" style. The content may be fantastical but the form and the language remains realistic - always aimed at making the fantastical elements "believable". The one praise you most often hear is how convincing and consistent the author's imaginary world is and the way to achieve this consistency is to pile up lots and lots of surface details and descriptive passages. I am not an expert but a lot of fantasy stories do broadly fall in this category, which makes it comparatively easy to film. I am not saying there are no audio-visual equivalent of internal monologues, or analytical passages devoted to explorations of abstract ideas but more often you find fantasy stories always dealing with concretes and details. btw, did you get the see Pan's Labyrinth? It leaves so many other fantasy movies way behind. Sight and Sound called it the citizen kane of fantasy cinema which might be a meaningless hyperbole but it most certainly is a new benchmark for the genre. I didn't read the comments on TZP. Waiting for the post. As far as Golden Compass goes, I haven't read the book and you are right. I didn't find the film involving, not that I am a Scifi fan (Star Wars being an exception). Good point about the lackluster treatment of the scene where Lyra meets the boy without a demon. Even I felt it should have been a significant scene. Loved the whole idea of the daemons as an extension of the subconscious self. Alok: missing Pan's Labyrinth has been a major sore point for me. Came so close a couple of times - once at a film-club screening which I had to miss, once with a DVD that didn't work. Will definitely try again soon. Actually one of the main problems I had with the film is that while softening the anti-religious tone to an authority one, the film simultaneously reinforces the traditional assumptions about sources and authorities of knowledge. One of the brilliant things Pullman does is to allow for the precocious, organic discovery of the world around her by Lyra, with the adults only facilitating or providing guidance along the way by virtue of having been around for longer and having access to more sources of information. In the movie on the other hand, the radical shortening has led to almost everything being quickly explained away, which has meant that almost everything is simply learnt unquestioningly rather than discovered. Thought that sort of defeated the point in some ways.